Whether you call them electronic health records or electronic medical records, making the move to computerized medical records for your documentation is pretty much a necessity in today's health care environment. In addition to the financial incentives from the federal government, increasing numbers of insurance carriers, managed care organizations and quality improvement initiatives expect that you will be able to provide them with data in an electronic format. The problem that faces most physicians is lack of expertise in selecting the best EHR or EMR software. However, there are some basic strategies that will help you make a good decision for your clinic. Review the meaningful use objectives from the federal government -- not only are these required for you to receive money for EMR implementation, they will give you a good template from which to evaluate a software system. Next, sit down and make a list of all the things you want an EMR to do for your small clinic. Evaluate each step of your current daily activities and make sure they get on the list. If you have to do it in a paper world, you want to be sure that you can do it in an electronic world. The list should be as extensive as you can make it; set it aside and come back to it a few days later. Talk to your partners or associates, especially if your practice has physician extenders such as nurse practitioners, as you will need to be able to perform chart review and other supervisory functions. Once you have your list, develop a prioritized checklist, beginning with the meaningful use objectives. There are many EMR software vendors who have information readily available on the internet. While you can work your way through them, it will be time-consuming and you may find your head swimming with their conflicting claims. The Healthcare Information and Management Systems Society, HIMSS, is an excellent source of unbiased help in this decision-making process. They offer reviews, suggestions and basic questions you can use in the process of EMR selection. Select three or four of the best contenders and ask each the same questions, such as whether there's a warranty on the product, what happens when the EMR is upgraded, can it be customized and if so, who performs the work? If an EMR can't meet the meaningful use objectives -- and make sure the vendor can demonstrate exactly how these are met -- or doesn't have one of your major priorities, drop it and move on. Demonstrations of the EMR product are vital to the decision-making process. It's important to remember that the demo is designed to show off the best features of the software and may not reflect the real world. Although you may be strapped for time as doctors usually are, this is a step where taking extra time to get your questions answered can make a big difference in how well the EMR works for you. Use your checklist. Ask the reps to show you exactly how each of your priorities can be met. If you hear comments such as "Well, they say we'll be able to do that with the next release," probe deeper. 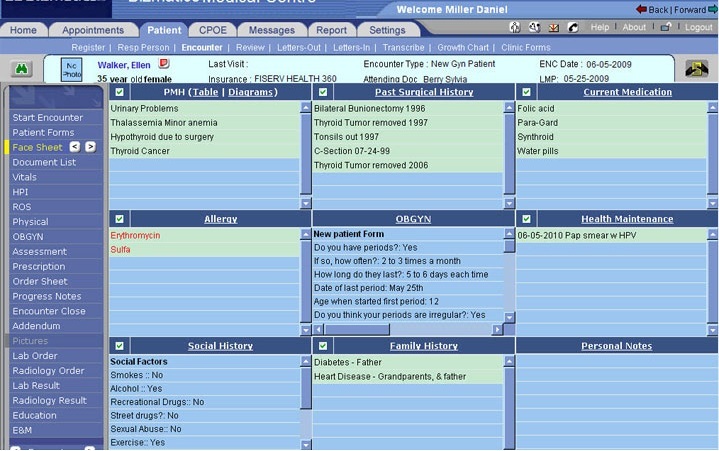 No EMR is perfect and the technology changes constantly. If you identify your needs, plan carefully and ask tough questions, you can avoid being seduced by flashy technology and choose the best EHR that really fits your small clinic. Remember, an EMR that doesn't meet your needs is a waste of time and money.